Description: Abigail Rose is a childhood friend of my daughter. I always thought Abigail Rose was a beautiful name and a very appropriate name for a beautiful girl. The girls are grown women with families of their own, but I have very fond memories of them playing together while Abigail Rose's mother and I created quilts for our homes and gifts for our children. Now we create baby quilts for the newest members of our families, and the memories continue to be cherished. 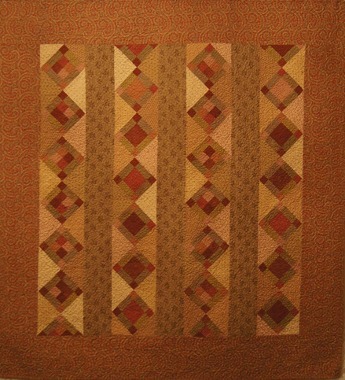 Enjoy creating this new quilt and cherish your favorite memories!"